Anyone who has ever planned a reunion or large family gathering has faced the daunting question of how to please everyone. Well, don’t worry; we can help. Smoky Mountain Resort Lodging and Conference Center is a day’s drive of the entire eastern half of the United States with the Great Smoky Mountains being the perfect location for your family reunion. In addition to its convenient location, the overwhelming variety of both indoor and outdoor activities and amenities at the resort will provide custom fun for people of all ages and personalities. Our friendly staff will work closely with you to determine the special needs and interests of your group and design a custom package that will truly be perfect for everyone. Whether you need lodging assistance for your group or if you would love help arranging catering and activities, we has your back! Lodging: With homes that sleep up to 99 people under one roof, you can put everyone together or get several chalets close together! Meals: All chalets have fully-equipped kitchen and dining areas or if eating out is more your style, great restaurants pepper each side of the parkway in Pigeon Forge and the main drag in Gatlinburg. If you are looking for a little elegance and something out of the ordinary, we can provide you with exceptional catering services or a Private Chef to provide a fine-dining experience right in the chalet! Concierge Service: If you don’t feel like shopping when you get into town we can do it all for you. Fill out one of our detailed grocery lists and we can have everything ready and waiting for you in your chalet. 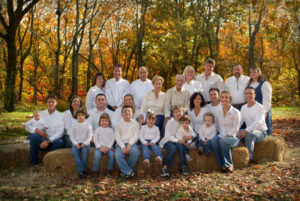 Everything you need to plan a great family gathering is just a phone call away at 800-406-7404. We are here to help. 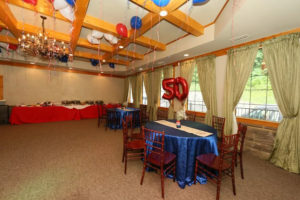 Tell us the details of your event and we will assist you with all of the planning and arrangements. Don’t have the time or opportunity to call then use our Contact Us page. We look forward to hearing from you real soon! * Passport has a limit of one adult ticket per attraction per day. They are non-accumulating.